This entry is part 1 of 11 in the series Creating My Smart Home. I’ve been dabbling in smart home devices over the past couple of years, and while many of them do enhance quality of life, I have some concerns. Namely, a dependence on cloud services, eroded privacy, security vulnerabilities, and a lack of interoperability. A smart home should be smart. It should know what you want/need at the right time, and make it so. Of course, this isn’t a “product” you go out and buy. It’s a concept that requires several products working in concert, probably working directly with each other, to manage your home for you. Whether it’s irrigation, climate control, lights, etc., a smart home should reduce the need for you to think about those things and just do them. Getting from a bunch of smart home devices to an actual smart home takes a bit of work. Just because I can install an app on my smartphone and turn lights on or off or set my thermostat from the sofa doesn’t mean I have a smart home. It just means I have a remote controlled home, and I can be really lazy. As I said, I’ve been dabbling, so I haven’t taken a carefully planned, holistic approach to creating a smart home. After a couple of years I’ve managed to acquire D-Link cameras from one of those Amazon Prime Day sales, a TP-Link Smart Plug, a Logitech Harmony Hub, an Amazon Echo, an Echo Dot, and a Honeywell Wi-fi Thermostat that came with our AC unit. Even our newest car is connected to the internet. The point is my smart devices have accumulated organically and therefore it’s not easy to get everything to work together. It’s first-world-problem annoying to open separate apps to turn on a light vs. set the thermostat vs. check a security camera. For example, the Harmony Hub is not compatible with the TP-Link Smart Plug, which we use to control the lamp in our family room. So if I want to start a “late night movie” activity, I can’t program the Harmony Hub to turn the lamp off as part of the activity (I know it’s silly to complain about things like this, but these things should just work together). I didn’t want to replace my existing devices, so I started looking for a solution that would allow me to leverage them if possible. Ultimately I went with Home Assistant running on a Raspberry Pi. The software is open source with an active community, and a Raspberry Pi is a low-cost investment that can be used for another project if I ever choose to change hardware solutions. With Home Assistant, I’ve been able to incorporate all of my existing devices and control them using the Home Assistant web UI and iOS app. I’ve set up a handful of automations so far and even fixed the issue with my Harmony remote/app not being able to control the TP-Link plug by using the emulated Hue component from Home Assistant. With my goals established and my “smart hub” up and running, I recently started installing Z-Wave sensors and light switches controlled by an Aeotec Z-Stick. This approach meets all of my goals so far, and once again the emulated Hue component helps out by enabling me to control the lights from the Harmony remote/app without purchasing the Harmony Hub Extender for Z-Wave and Zigbee devices. I’ve set up a handful of automations so far, including sunrise/sunset timers for exterior lighting, presence detection and automation of indoor lighting, iOS notifications for adverse weather, iOS notifications when my garage door is opened with a live stream from a camera–and a follow-up notification if it is left open too long, and several other uses of the emulated Hue component to enable Alexa voice control of devices that normally wouldn’t work with it. I’m still working on more automations, scripts, and scenes to further enhance our smart home. I’ll be detailing some of these solutions in future blog posts. If you have some coding skills and enjoy tinkering a bit, I’d highly recommend getting a Raspberry Pi kit and installing Home Assistant. 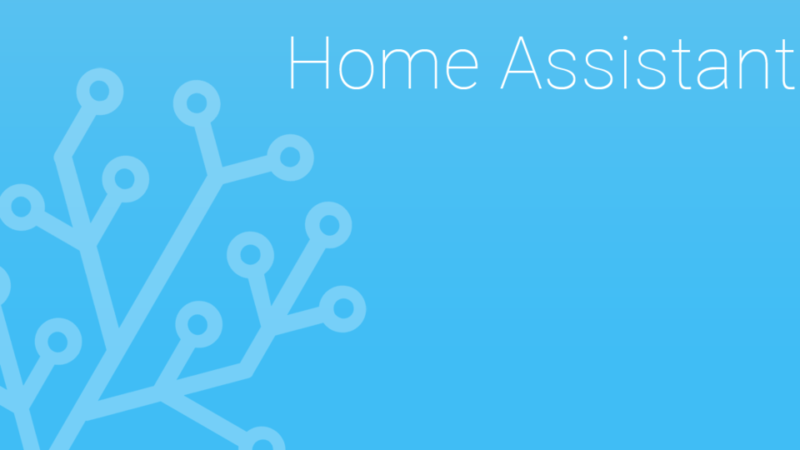 I was able to load and use HS200 switch in home assistant successfully as per your experience above. My harmony hub could NOT find the tp_link switch using HUE, ( Harmony Hub, switches are on same wifi network). If we add a device in homeassistant, How does Harmony Hub can find it as part of a search of “Philips Hue ” devices? Do we have to do any additional YAML configs so that homelinkassistant broadcast ‘s it as PHILIP HUe device? I would also verify your settings for the expose_by_default option for the emulated hue component; you might need to set emulated_hue_hidden to false in customize.yaml for the tp_link switch entity.